High output. The stable speed can reach 80 boxes/minute. Complete functions. The machine is suitable for various applications such as semi-cover/full-cover, or high paper and low box/low paper and high box. Rapid production changing. It only takes 10-20 minutes to change the specifications. Convenient operation. 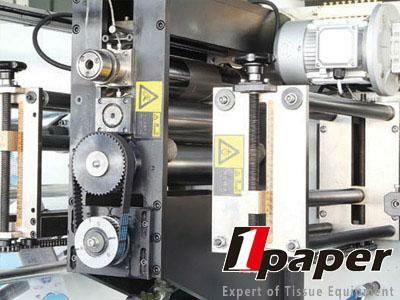 It is easy to control the servo paper feeding and PLC control system. Low cost. 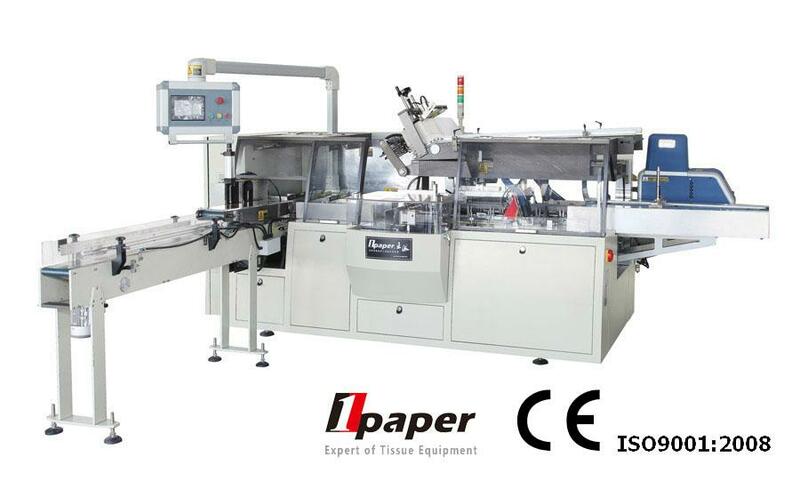 The imported glue machine with a nozzle of 0.3mm is adopted and the glue-spread is little. It is suitable for automatic boxing of facial tissues, square tissues, pocket tissues, cotton tissues etc. Packing forms such as automatic feeding, box opening, boxing, batch no. Printing, glue spreading, box sealing, etc. Are adopted. Featured by compact and reasonable structure, simple operation and adjustment. Servo/step motor, touch screen, PLC control system and man-machine interface display make operation more clear and convenient. With high automation degree, the machine is more user-friendly. The automatic material arranging and conveying mechanism is adopted to facilitate linked production with automatic production line,which can greatly reduce labor cost. The photoelectric eye automatic detection tracking system is adopted. No boxing is made if the bag is empty, so as to save packing materials to the utmost extent. Change of specifications does not need change of molds, but can be realized through adjustment. Automatic stopping is available when the material boxing is not in place, and the main driving motor overload protection device is used,so that the machine is safer and more reliable. According to customer requirements, the upturning type safety protective cover is adopted,which is featured by simple operation and beautiful appearance.